The Best Garden Design blogs from thousands of top Garden Design blogs in our index using search and social metrics. Data will be refreshed once a week. Facebook fans 10,850. Twitter followers 267. Cambridge, UK About Blog Rachel Mathews is garden designer from the UK, with over 20 years professional design experience. In that time, she has designed hundreds of gardens all over the world. Her speciality are small, contemporary style, gardens. She has designed gardens of all shapes, sizes and styles, from traditional, urban, cottage to edible, modern food gardens. Facebook fans 4,394. Twitter followers 4,224. Monmouthshire About Blog I'm Lisa Cox. I’m an RHS award-winning designer at both Cardiff and Chelsea flower shows and I’m also a registered member of the Society of Garden Designers, having passed the only professional adjudication process for garden designers in the UK. I work with professional landscapers and specialist craftspeople to help bring my designs to life. Facebook fans n/a. Twitter followers 2,389. Facebook fans 1,160. Twitter followers 435. Santa Monica, CA About Blog The freshest innovative and eco-friendly designs, trends and ideas for stylish urban gardens and small spaces. Urban Gardens is an award-winning and Webby-nominated lifestyle blog with a creative blend of urban style, design, and nature curated from around the globe. Facebook fans 166,949. Twitter followers 57,358. London About Blog Garden Club London was born out of passion and frustration – a passion for plants and gardens and the incredible value that a great garden can add to someones quality of life as well as the value of a property. They provide garden design and planting services for residential and commercial clients in most areas of London. Facebook fans 1,016. Twitter followers 1,620. Iowa, U.S. About Blog My name is Lisa Orgler and I love teaching garden design in a fun and simple way. Paper Garden Workshop means a spirited place to learn garden design. Facebook fans 1,634. Twitter followers 2,904. Facebook fans 4,557. Twitter followers 116. Kent, England About Blog Oakleigh Manor was founded in 1996 and since then we have evolved into a multi-disciplined team of talented professionals. We incorporate a Landscape & Garden Design Team, highly skilled Landscape & Garden Construction Craftsmen, Garden Joinery, Irrigation, Lighting & Automation Engineers and a caring team of Garden & Grounds Maintenance staff who provide ongoing aftercare and maintenance. Facebook fans 560. Twitter followers 198. Melbourne, Australia About Blog I'm Michael McCoy. I’m a garden designer, writer, and occasional garden tour leader. I started my adult life as a botanist, then trained as a gardener. Wrestling with questions of gardens and gardening. Facebook fans 3,631. Twitter followers n/a. Harvard, MA About Blog Pit And Vigor is a digital magazine and print newspaper for people with dirt under thier nails published by Rochelle Greayer. The blog is all about Garden Design Ideas, inspiration by style, region, trend. Products, plants, gardeners & garden designers. Facebook fans 5,036. Twitter followers 11,085. About Blog Gardening Gone Wild is about 4 Regular Contributors - Fran Sorin, Saxon Holt, Debra Lee Baldwin, and Noel Kingsbury they write about garden design and photography, sustainable gardening, plants, travels, and creativity in the garden. Facebook fans 7,290. Twitter followers n/a. Brighton, England About Blog Since 1988 Andy Sturgeon Landscape and Garden Design has been dedicated to creating dynamic external spaces for private, commercial, and international clients. Twice voted one of the top 10 garden designers in the UK and winner of numerous awards including 5 Gold Medals and Best in Show at the RHS Chelsea Flower Show. Facebook fans 3,532. Twitter followers 8,189. About Blog Oxford College of Garden Design offers Landscape and garden design courses. Facebook fans 5,195. Twitter followers 33,948. London, Kent, Surrey, Essex About Blog Floral & Hardy offer bespoke Garden Design & Landscaping services in & around London. They specialise in beautiful hand drawn garden designs, each one bespoke and individual to you and your feelings about your garden. Facebook fans 257. Twitter followers 681. Clapham, London, UK About Blog I'm Jack Wallington. I'm a RHS qualified Garden Designer based in Clapham, London. Training with the Royal Botanic Garden Edinburgh, I aim to transform people's gardens, homes and lives with outstanding garden designs. My style is contemporary and naturalistic, and I can work with any conditions, whether it's low maintenance, dry shade, full sun or even something more adventurous. Facebook fans 65. Twitter followers 3,234. NYC About Blog Todd Haiman Landscape Design Inc. in New York City designs and builds residential gardens, roof gardens, terraces, brownstone gardens, large landscapes, vacation properties and public spaces. Get information and advice on garden design and landscape design by following this blog. Facebook fans 327. Twitter followers 1,037. London About Blog Cassandra Crouch Garden Design is a small professional practice working for clients in London, the home counties and across the country. Cassandra Crouch MSGD is a fully accredited, Registered Member of the Society of Garden Designers the only body that represents professional garden designers in the UK. Facebook fans 206. Twitter followers 1,165. London, England About Blog In 2007, I resigned from my corporate job at Heathrow to follow my husband’s career abroad. I engaged in a distance learning course with the Royal Horticultural Society and have never looked back. My passion for gardens knows no bounds and I hope I can inspire you to develop your love of gardening too. Facebook fans 158. Twitter followers 1,243. About Blog Jane Berger is a journalist and landscape designer based in Washington DC. Jane's landscape design business is Garden Design Online, serving the Washington DC Metro Area and other areas via e-designs. Radlett, Hertfordshire About Blog Kate Gould is an award winning garden designer for London and the Home Counties. With over seventeen years hands on experience Kate is regularly commissioned by home-owners, architects and interior designers as well as property developers and commercial clients to transform gardens of all sizes. Facebook fans n/a. Twitter followers 3,579. About Blog Bowles & Wyer have become leading landscape and garden designers and contractors, working throughout London, Central England and the South East. Chris Bowles and award-winning designer John Wyer have worked together since the early 80’s, officially launching Bowles & Wyer in 1993. Facebook fans n/a. Twitter followers 1,866. London, Surrey & Hampshire About Blog Graduate Landscapes is Surrey and Hampshire award winning garden design company with over 20 years of experience in garden designing, garden construction and garden maintenance of beautiful gardens, Graduate Landscapes offers a creative, personal and unique garden design service. Facebook fans 319. Twitter followers 947. Bridge of Allan About Blog Vialii Garden Design is committed to delivering excellent quality landscaping and garden designs to both residential and commercial gardens throughout central Scotland. Facebook fans 523. Twitter followers 1,339. About Blog Plews offers Garden Design, Garden Consultancy and Gardening Advice; plus unique Gardening Lessons, where your garden is the classroom. Plews is based in Bromley, covering mainly London, Kent Surrey and Sussex. Gardening blogs and eBooks are written by Marie Shallcross the owner of Plews Garden Design and available from the website. Facebook fans 431. Twitter followers 1,941. About Blog Julia Thomson run an award-winning garden design studio based in South London which I founded in 2011 after having worked for a renowned international design practice for eight years. She have a passion for excellent, life-enhancing, landscape design. About Blog For more than 20 years, JJ Garden Designs has been creating exceptional gardens within Suffolk and beyond. Fully qualified designers and horticulturalists. About Blog The Well Dressed Garden is authored by landscape designer Meg Turner, principal of M. Turner Landscapes (MTL), based in Richmond, Virginia. Meg blogs about garden design, gardening to nurture wildlife and protect our rivers, her love affair (and heart break) with plants, and exceptional private gardens and public spaces. Facebook fans 178. Twitter followers 57. Sydney, New South Wales About Blog Growing Rooms is a Sydney based landscape design company specializing in urban garden design, construction & maintenance creating outdoor spaces in harmony with your home. Follow Growing Rooms blog for latest landscape industry news and garden design ideas. Facebook fans 168. Twitter followers 50. Yorkshire and The Humber About Blog Lewis Williams is a professional Garden Designer in Yorkshire. He completed horticulture qualifications with the Royal Horticultural Society, before going on to study an FdA in Garden Design, graduating with Distinction, and setting up Lewis Williams Gardens. Facebook fans 40. Twitter followers 247. Scappoose, OR, USA About Blog Alyse Lansing is a landscape designer. Follow this blog to know anything regarding all things that inspire the making and keeping of a garden. Facebook fans 322. Twitter followers 96. Dollar, Scotland About Blog Shades of Green Garden Design is a professional garden design service and consultancy business based in Scotland, specialising in rural gardens and using planting to create form and flow in the garden. Whether high and cold, windy, coastal or wet, they have probably helped to create a garden in similar unpromising situations. Facebook fans 244. Twitter followers 411. About Blog Michael Cooke Garden Design is a specialist team producing a limited number of exclusive landscape design projects each year. Shrewsbury, Shropshire About Blog Based in Shrewsbury, Shropshire, Hornby Garden Designers team of consultants and landscapers work on projects throughout the UK. However, no matter where a project may be, you can always be sure they bring with them a depth of plant knowledge and design know-how that enables them to create a result that works harmoniously with the architecture. Facebook fans 621. Twitter followers 2,212. Greater Mcr and Cheshire About Blog Greenvision Garden Design & Construction are dedicated to providing a complete and professional garden design and construction service. From initial thoughts and ideas, through planning and design, to construction and completion. Weybridge, Surrey About Blog olley Designs is a Garden design and Garden Maintenance company, offering excellent service at competitive prices. Karen has transformed over 100 gardens with either complete or partial redesigns, new planting plans and special features. Facebook fans 212. Twitter followers 607. Hertfordshire About Blog The Garden Company was founded by James Scott in 1991 with a business partner and specialises in high quality commercial and domestic garden landscaping, design and maintenance. Edinburgh, United Kingdom About Blog Lempsink Garden Design offers a full or a la carte design and build service depending on your requirements. From advice and designs, through to planting plans and planting, a professional service is offered and beautiful, practical gardens delivered. Facebook fans 248. Twitter followers 166. UK About Blog A blog by the award winning garden and landscape designer David Keegan. Award winner "Residential Landscape Designer of The Year 2016" Northern Design Awards . Award winner "International Landscape Design 2012", "APLD" USA. Award winner "Garden Designer of the Year 2010, 2011, and 2013 Northern Design Awards. Currently working on garden design projects in Cheshire, Manchester, Derbyshire. West Scotland About Blog Rachel is a garden designer & permaculture designer. She has a passion for plants, garden design & natural environment. She is a member of the Royal Horticultural Society. She is also a pre-registered member of the Society of Garden Designers. Facebook fans 125. Twitter followers 218. About Blog Claire Talbot is a garden designer. She holds a BSc Hons degree in psychology and management, as well as a certificate in home garden design. For Claire, garden design provides all of these rewards. Her particular passion is combining different textures, leaf shapes and leaf sizes to create compositions clients love. Maldon, East About Blog Turning Leaf Garden Designs, have been creating and delivering beautiful gardens throughout Essex, Hertfordshire, Suffolk and east London for over 15 years. Their designers are registered with the industry's leading bodies including the Society of Garden Designers and British Association of Landscape Industries (BALI) and our practice is a Member of the Association of Professional Landscapers. Facebook fans 17. Twitter followers 160. Towcester, England About Blog Jane Harries qualified in garden design with the Open College of the Arts (OCA), the sister organization to the Open University. She has been gardening for 15 years in her Northamptonshire cottage garden and enjoys growing perennials from seed. Facebook fans 157. Twitter followers 2. About Blog Sally has been designing gardens for 18 years and is a Registered Member of the Society of Garden Designers, which is the only body for professional garden designers. She trained at Askham Bryan College, York and left there with a BSc (Hons) in Landscape Management and a HND in Horticulture. Lymington, Hampshire, UK About Blog Founded in 2000, by father and son team Alan and Bryn Edmondson, we handle a wide range of projects from small planting schemes to large country gardens. We design, construct and plant gardens throughout the New Forest, Hampshire and Dorset. We are particularly experienced in dealing with coastal and forest conditions. Facebook fans 34. Twitter followers 122. Grantham, England About Blog Tythorne Garden Design is a well-established garden design practice based in South Lincolnshire. Serving Grantham, Stamford, Oakham and surrounding areas, we are qualified, experienced and professional. We help our customers enjoy their gardens more by providing beautiful and practical garden design solutions. Facebook fans 76. Twitter followers 42. Woodstock, Oxon, England About Blog Equipped with over 15 years’ hands-on experience and formal training from KLC School of Design, Andrea has creative vision and a true passion for her job, recognising it’s the big ideas coupled with the small details that make all the difference. With Flowered Up Garden Design you can rest assured you’re in friendly, experienced hands. Facebook fans 67. Twitter followers 37. Cirencester, UK About Blog Elementa is a specialist landscape design consultancy run by Nick Dickinson, providing landscape design and installation services. Elementa Design specialise in designing and installing gardens in Gloucestershire and beyond. Facebook fans 11. Twitter followers 33. About Blog Dewlands Garden Design is a bespoke garden design service with the experience to develop, project manage, and build your garden ideas. About Blog Sylvia Newman Garden Design is a family-run business offering clients complete turnkey design and build services. Our stylish and high-quality portfolio of work ranges from residential gardens to Presidential Palaces and caters to all varieties of tastes and budgets. About Blog Robin Kramer Garden Design (RKGD) is a bespoke garden design firm specializing in high end residential design. About Blog Surrey Garden Designer. Working in Guildford, Dorking, Reigate, Horsham and surrounding areas with trusted landscapers, Nancy oversees each project from start to finish. From country gardens to urban courtyards, Nancy Rodgers designs gardens in tune with her clients' vision and practical requirements. About Blog Selma Klophaus is a Garden Designer and Landscape Architect in Cornwall. Design and creation of planters, to full-scale landscaping; private gardens and large estates alike, stunning outdoor spaces that capture the soul. Vietnam About Blog Construction Design Landscape Hon Hon Beautiful Design In Ho Chi Minh City. 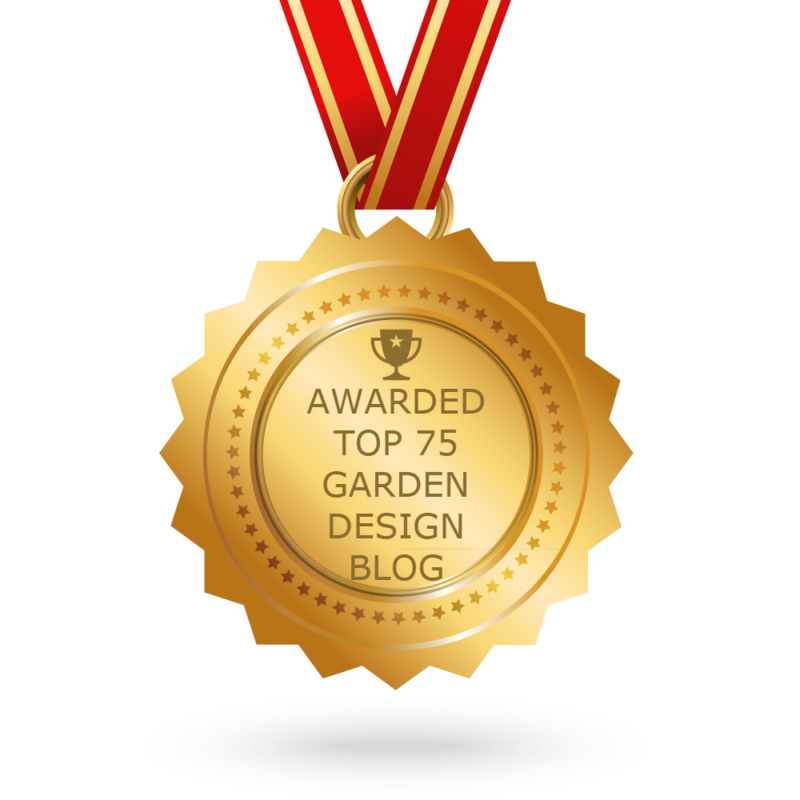 CONGRATULATIONS to every blogger that has made this Top Garden Design Blogs list! This is the most comprehensive list of best Garden Design blogs on the internet and I’m honoured to have you as part of this! I personally give you a high-five and want to thank you for your contribution to this world.